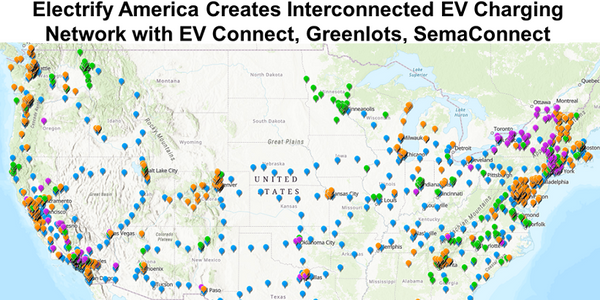 While federal tax credits are no longer available for natural gas vehicles, some fleets are taking advantage of state and local incentives, which range from vehicle purchase tax credits and tank installation rebates to breaks on registration and HOV lane access. 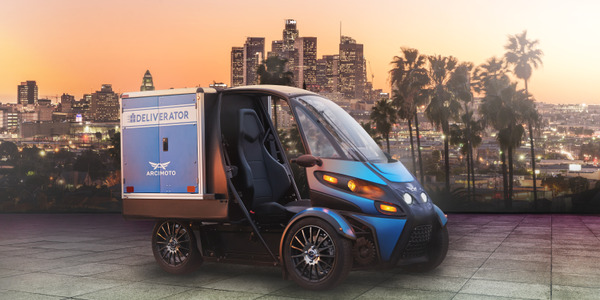 From a frozen pizza company to neighborhood ice cream delivery, from a dry cleaner to a real estate business, these small fleets have been running natural gas-powered vehicles (NGVs) for years. Company owners cite various reasons for making the switch to compressed natural gas (CNG), among them the fuel’s environmental benefits, rising fuel prices and the need to limit foreign oil. While each fleet took a unique path to implementation, they all have one thing in common — a positive return on investment (ROI). Serving Illinois and Northwest Indiana, Lansing Cleaners Co-Owner Tom Ustanik warmed to the idea of natural gas because the cleaner-burning engines would give him double the engine life over regular gasoline-powered engines. As well, CNG fits in with the company’s environmental initiatives. Ustanik says his company is one of the greenest in the field and is one of “a handful” of dry cleaners in the country that clean with liquid CO2. 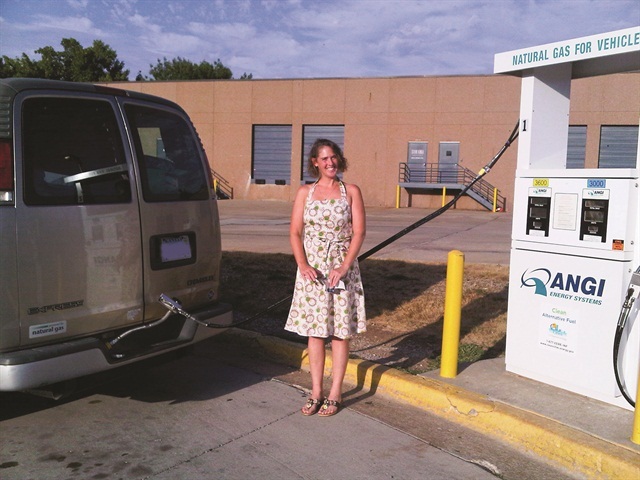 Danya Butter and her husband Joseph have five CNG vehicles to service her real estate business in Kansas and Missouri, and to help defray the cost of his commute. While the Butters have a home-fueling system, they say it’s easier and quicker to fill up at their local public station. They pay about $1.25 gas-gallon equivalent (GGE) at home and $1.69 at the public station. For Joseph and Danya Butter, opportunity knocked when they found a used 2002 factory-built CNG Chevrolet Express van at a Phoenix, Ariz. auction with 20,000 miles for only $3,200. “I figured I could part the thing out for more than that,” Joseph says. The Butters, who have since moved to Olathe, Kan., now have a stable of five CNG vehicles to service Danya’s real estate business and to alleviate the cost of Joseph’s commute. Still, others cite more immediate — and personal — benefits. “I have a really long commute, so to be honest with you, the overriding concern for me was that it got me in the carpool lane,” says Rick Johnson, chief financial officer for Business Fleet’s parent company, Bobit Business Media in Torrance, Calif. Johnson bought a CNG-powered 2008 Honda Civic GX for personal use. Wisz, Renwald and the Butters purchased many of their CNG vehicles at government auctions from municipalities and utility companies. While they’ve had to occasionally buy and ship vehicles from auctions halfway across the country, their NGVs often had abnormally low fleet miles and a reasonable premium compared to gas-powered vehicles. A CNG-converted van from the Summer Song fleet. After buying their CNG Chevrolet Express van for cheap, the Butters bought three Honda Civic GX models at auction. The cars had 40,000 miles on them and they paid about $7,200 for each — about a $2,500 premium over a gas-powered Civic. The seller bought them for $20,000, Joseph says. In another smart move, the Butters bought a bi-fuel CNG Chevrolet Cavalier for $4,500. They drove it for 100,000 miles and sold it for $2,500. 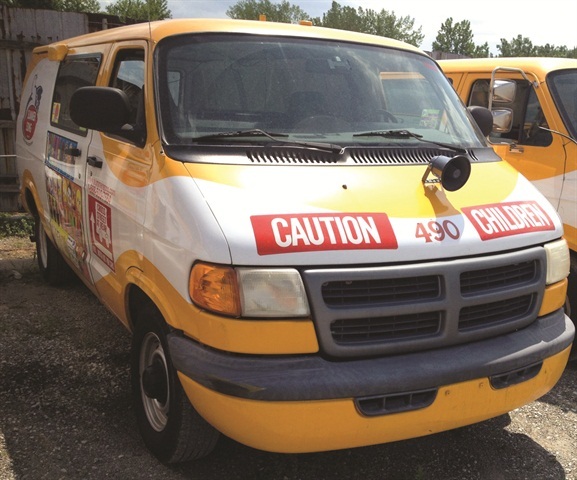 Renwald reports that buying his dedicated-CNG Dodge 2500 vans at auction six or seven years ago actually yielded a $2,000-$3,000 discount to gas-powered vehicles. When they came through the lanes, “the auctioneer would be almost sheepish,” he says. Ustanik chose the conversion route; he buys new trucks and has a qualified mechanic install them. The conversions cost him $5,400 for the complete kit including installation. He also notes that the conversions for his vehicles only work with a larger engine, a $1,600 option. Conversions can run as much as $16,000 for the larger class trucks. The tank is the most expensive component at one-third of the total cost. Price is dictated by the size of the tank and its material, from steel to composite. John Welsh, solid waste manager for Dane County, Wis., called his conversion process “painful.” His department converted five light-duty passenger vehicles and pickups, and he got caught in the EPA approval process, a requirement for any conversion kit on any new model vehicle. 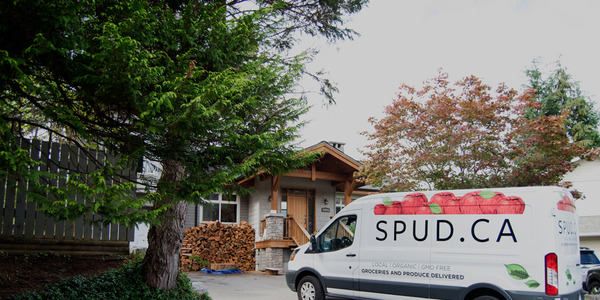 This lengthened order to delivery time considerably — to more than a year in some cases. 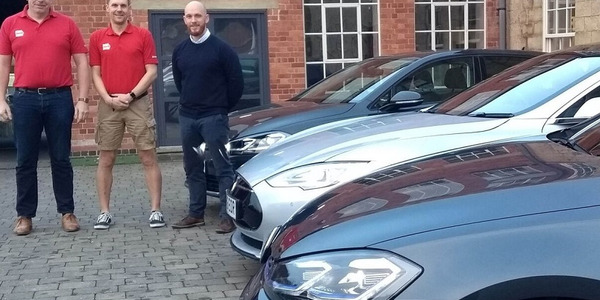 Welsh has subsequently ordered vehicles and received them in two months, though the approval process is a fact of life with new conversions and model years. The recent surge in the CNG market has brought a new crop of OEM bi-fuel trucks and QVM (qualified vehicle modifier) conversions, though these new trucks and vans are just now hitting dealer lots. Expect to pay $10,000-$12,000 more for a bi-fuel CNG pickup straight from the factory over its gasoline-powered counterpart. However, the latest equipment has resolved the traditional maintenance and performance peculiarities with NGVs, and vehicles straight from the factory or through a QVM have already satisfied the EPA approval process. 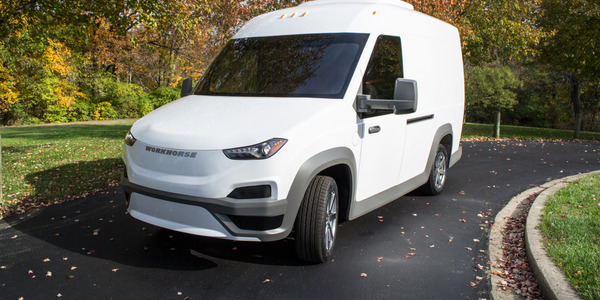 While fleet customers that test drive the new NGVs are universally positive, “There are a lot of questions out there right now, but not a lot of buying. 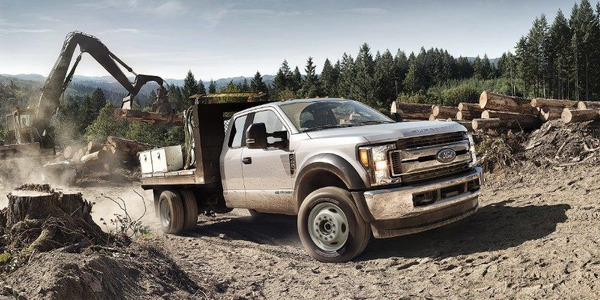 It’s still new to them,” says Walter Downey, fleet manager of Rountree Ford of Shreveport, La. He has ordered eight CNG vehicles for stock and hopes to have 15 to 20 on the lot by year’s end. However fleets get into CNG, it’s not happening with federal government help. 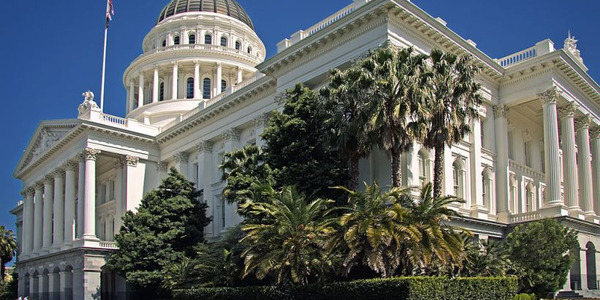 While federal tax credits are no longer available, some fleets are taking advantage of state and local incentives, which range from vehicle purchase tax credits and tank installation rebates to breaks on registration and HOV lane access. For instance, Illinois provides a rebate for 80% of the incremental cost of purchasing or converting an alternative-fuel vehicle (AFV) of up to $4,000. Oklahoma offers a one-time income tax credit of 50% toward the incremental cost of purchasing a new AFV or converting one. Some 21 states offer at least one type of incentive. Many contend that the ability of the CNG industry to stand on its own two feet — absent the whims of government — is essential to its long-term viability. 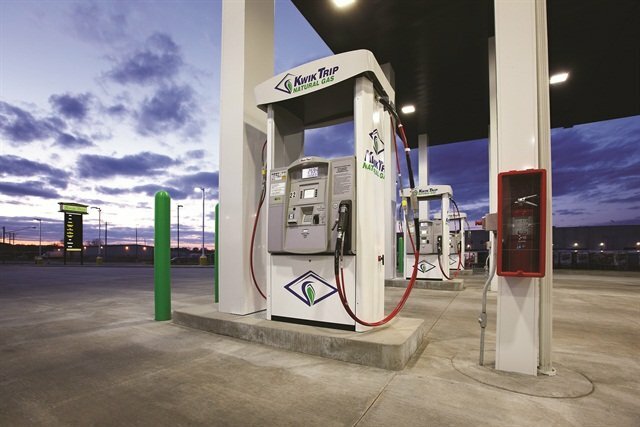 Kwik Trip, a Midwest convenience and fueling store chain, is in the midst of installing CNG pumps at its stores in Wisconsin, Minnesota and Iowa. Kwik Trip's goal is to have 20 retail CNG pumps installed at its Midwest convenience store locations by next spring. Aside from initial costs, the other significant barrier to CNG implementation is a lack of infrastructure, exacerbated by vehicles with a limited range. 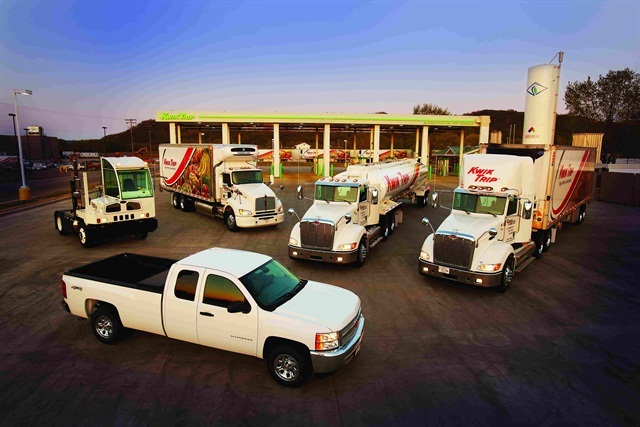 Kwik Trip also fuels a portion of its fleet with natural gas. Wisz added extra tanks to his trucks to extend range to 250-300 miles. However, taking into account real-world driving patterns, “I didn’t need to be as concerned as I was in regards to fuel capacity with CNG,” he says. Renwald’s dedicated-CNG ice cream trucks achieve about 200 miles on a tank, but to be safe, his drivers generally fill up after one day on the road. Renwald even has a truck with a CNG dispenser that can meet a stranded ice cream truck for an emergency fill up. On the personal use side, Johnson says his range is 200 miles in his Civic GX using the 8 gas-gallon equivalent (GGE) tank, though he fills up at 170 miles owing because of limited refueling choices. “For some reason you can never seem to get the tank totally full,” he says. Danya Butter complains that the gas gauge on her Civic GX “is not as accurate as it should be,” though using the trip odometer is a viable workaround to understand when she’s close to empty. Aftermarket CNG fuel gauges have traditionally been imprecise, often consisting of four light bars to indicate stages of full to empty. Newer equipment has alleviated this problem, though some conversion kits still use this type of system. Range is also affected by temperature. Hot temperatures cause compressed natural gas to expand, which results in less fuel per tank. Downey reports that the CNG tank on his F-150 conversion only took 17 out of 22 gallons in the recent 100-degree Louisiana temperatures, though this isn’t a problem with slow fill dispensers because the gas is less pressurized. Bi-fuel NGVs ease “range anxiety.” The motor switches to regular gasoline seamlessly, though the idea is to use as little gas as possible. Fueling with CNG at public fueling stations is similar to fueling with traditional gasoline or diesel. Public stations take credit cards and are “fast fill,” meaning they can fuel a vehicle in about the same time as a standard fuel pump. These fleet users say that life would be a lot easier with a greater proliferation of fueling infrastructure. On Venchurs truck, the CNG and gasoline fuel fills sit side by side. “It’s not easy finding stations around here,” says Danya Butter, who hasn’t taken a long trip in a dedicated-CNG vehicle for lack of stations. Kwik Trip is in the midst of a CNG pump installation initiative. The company has three retail pumps now open in Wisconsin, though the company plans to have about 20 more CNG pumps installed at fueling sites throughout Wisconsin, Minnesota and Iowa by spring 2013, according to Hirschboek. “The Midwest is becoming a strong natural gas market,” he says. 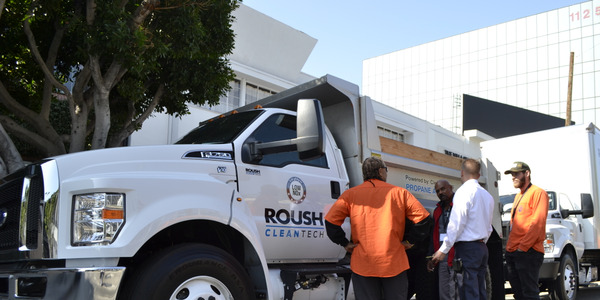 This Ford F-250 was converted to bi-fuel by Venchurs Vehicle Systems, a Ford qualified vehicle modifier. The pump’s CNG nozzle requires users to turn a lever to create a seal. The Butters have a FuelMaker slow-fill system at home for just in case, though they say it’s easier and quicker to fill up at their local public station. They pay about $1.25 GGE at home and $1.69 at the public station. Ustanik estimates about 105 CNG vehicles in various fleets in his area, yet the public utility appears to be transitioning out of the CNG business. No major CNG supplier has stepped in to fill the void in his area. To compensate, Ustanik will buy a slow-fill compressor for $10,000 that will produce four gallons an hour, just enough to cover his fleet needs with overnight filling. Wisz, who was serviced by the same public utility as Ustanik, decided to upgrade his own fueling system in order to open it to the public. He sunk about $70,000 for the system, which includes a grant from the local utility to install the dedicated fueling line. Wisz’s raw materials cost for a GGE is $.50; when taxes, cost to compress the gas, wear and tear on machinery and other factors are calculated, the cost comes to around $1.50. Maintenance issues unique to CNG include the need to change a coalescent filter that works with pressurized systems and also the need to stay on top of tune-ups, as the ignition point of CNG is hotter than that of a normal spark plug. 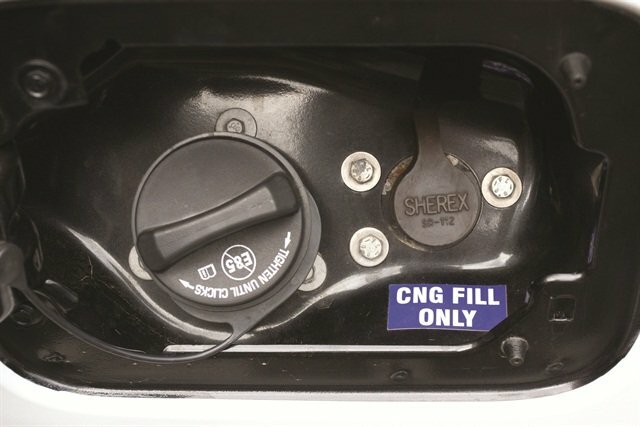 Finding CNG-specific parts can be difficult, especially for older NGVs. Renwald keeps older vehicles around for this reason. The Butters took six months to find a used alternative fuel electronic control module and resisted buying a new one for $1,400. Maintenance and performance issues such as clogged filters, temperamental valves, cold-weather starts, acceleration lag and stalling are a function of older equipment. From 2002 to 2004, CNG systems migrated from a “fumigator” method, which injected natural gas into the airstream between the air filter and the throttle body, to direct-injection of the fuel into the cylinders. This new technology improved vehicle performance, especially acceleration lag. However, for vehicles under warranty, manufacturers have not yet extended oil-change intervals in their service plans. Overall, cleaner oil means longer engine life — a big contributor to the ROI. One of Ustanik’s vans delivered 433,000 miles before retiring, he says. Today, there is little to no performance lag between CNG and gasoline, and a performance difference between CNG and diesel power, similar to that of gasoline versus diesel. 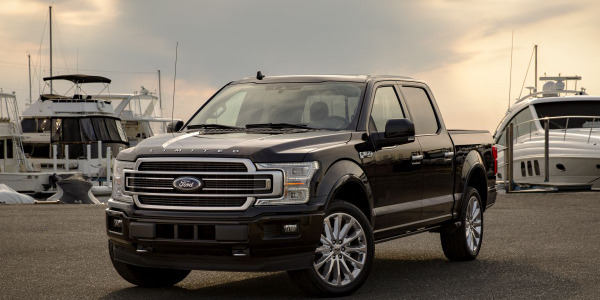 Welsh of Dane County performed dynamometer tests on a newly converted bi-fuel Ford F-150 and Ford Fusion. He fueled each using gasoline, CNG pipeline fuel and CNG from a landfill. In zero-to-60 tests, quarter-mile runs and hill climbs while towing, the tests showed little measurable difference in performance between the three fuels and systems. Joseph Butter says that while the Civic GX is no power demon — the latest model cranks out 110 hp, 30 fewer than its gasoline counterpart — he’ll put up with less power for the benefits of CNG. From a utility standpoint, cargo space can be an issue, especially with bi-fuel systems. This is especially true on light-duty pickups, as the CNG tanks can take up to one-third of the bed. Vehicles with dedicated CNG or LNG tanks have fewer cargo space issues. For larger trucks, there is ample space for tanks between the frame rails. Generally though, these fleet users say they are able to get the job done even with diminished cargo space. Wisz says he gave up the capacity of 16 cases of pizza in the cargo area of his trucks, which include freezer units. It’s a tradeoff he’s willing to make, he says. The trunk space in the Civic GX is 6 cubic feet, or half of a standard Civic trunk. But GX drivers know this is part of the deal, and the benefits outweigh the diminished cargo room. “I can go 170 miles on $6,” Joseph says. 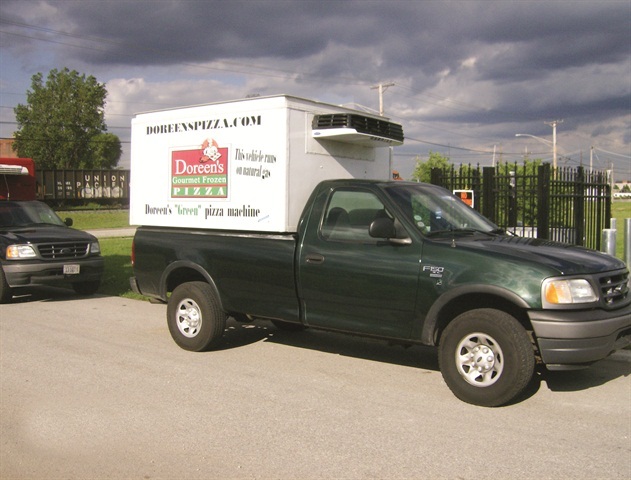 Bob Wisz of Doreen’s Pizza bought this 2001 factory-CNG Ford F-150 at auction and added the freezer box. While the CNG tank took away storage for about 16 cases of frozen pizza, the “Green Pizza Machine” branding on the side of the truck has been worth its weight in gold in free publicity. Because of his logo, Wisz ended up being interviewed by a large local radio station about his CNG initiative. “If I had to pay for 10 minutes of air time on WGN, I couldn’t afford that,” he says. Subsequently, every major television station in Chicago has been to his facility. 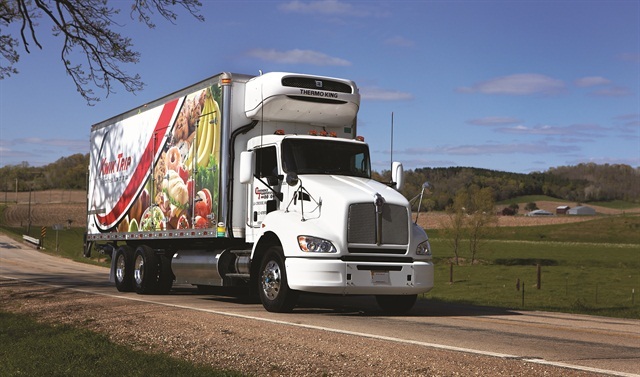 Wisz — and these other fleets — have realized the ROI in varied and creative ways. With CNG, saving money is a goal, but not the only one. “It’s good for the country, good for the environment and good for my bottom line,” Wisz says. NGV Incentives: Visit www.afdc.energy.gov/laws for a list of state incentives for natural gas vehicles. For more articles from the Business Fleet September/October magazine issue, click here.